The consistent cold temperatures had created a solid snow pack. On which Frau Holle shook her doonah and left ~20-25 cm. This came down with a temp. rise around midnight. Its been snowing throughout the day and started dumping 17:45. Wind strong from the West. The new snow has soften things up a bit. But thrown up 3 red flags : 20+cm , high winds, temp. fluctuations! Treat the BC with caution. 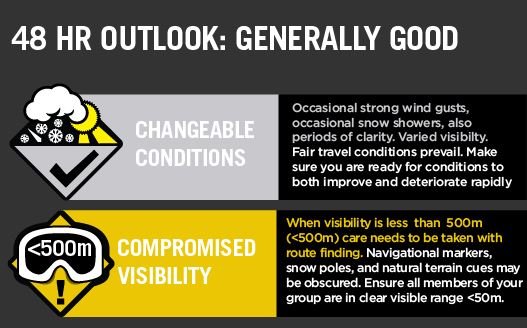 Beware of wind/snow deposits and some terrain features might be icy.